This volume draws together original research related to conceptual and practical advances at the interface of urban safety and peacebuilding. 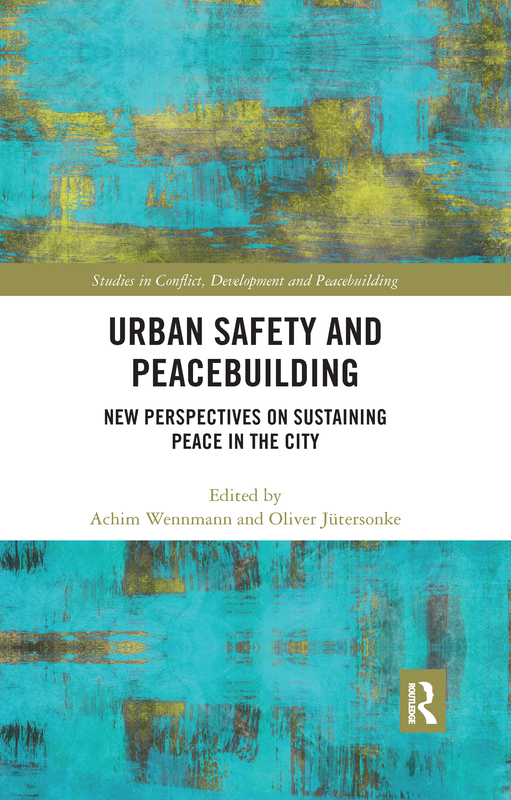 The book reflects the advances in urban safety and peacebuilding to help address the rapidly increasing risk of conflict and insecurity in cities. Specifically, it draws on contributions to the Technical Working Group on the Confluence of Urban Safety and Peacebuilding Practice, an informal expert network co-facilitated by the United Nations Office at Geneva, UN-Habitat’s Safer Cities Programme, and the Geneva Peacebuilding Platform. A focus on ‘sustaining peace’ serves as a framework for situating new policy responses against conflict, violence, and exclusion in the city, and for promoting a conversation across disciplinary and specialist silos. The volume thereby broadens the optic of peacebuilding practice beyond interstate and intrastate armed conflicts – and especially their aftermath – and reconnects it to the community-level origins of building peace. The analysis and practice presented here will remind those willing to work towards peaceful and inclusive cities that there are tried and tested approaches available, and a host of experts and practitioners ready to accompany those prepared to lead in their respective contexts. This book will be of interest to students and researchers in the fields of peacebuilding, urban studies, security studies, and international relations.